Payment for Compliance Assurance Associates, Inc. (CAA) represented products and services will be invoiced upon delivery, due upon receipt of the invoice, unless prior arrangements are made, and may offer discounts for pre-registration of certain training classes. For projects which extend beyond one month, billable hours and expenses will be invoiced at the beginning of each month for the previous month. Invoices not paid within 30 days will be charged a late payment fee (up to 20% of the outstanding balance in accordance with TN law) and interest of 1.5% per month (or the highest prevailing applicable rate). Leased personnel will be invoiced weekly. Some equipment provided through Compliance Assurance Associates, Inc. will be billed directly from the supplier, whose terms and conditions will be applicable. Registration for Visible Emission Training is due in advance of the school scheduled as preparations begin at that time. An early registration discount of $25.00 per attendee is provided for those registering at least one week in advance of the scheduled event. Refunds are provided for equipment sold based upon the terms of the contract. For Visible Emission Training and other training services Refunds will be issued in the form of a credit memo valid for future training up until the date of the scheduled training event, or a partial refund (minus a $25 per registrant registration processing fee) will be rendered via credit card based on the reason for cancellation. In the event of an error via our online registration process or any Compliance Assurance Associate, Inc. employee a full refund will be issued within 2 business days of the matter being brought to our attention. Registration fees will be forfeited in the event of a no-show unless the cause was an emergency or beyond the reasonable control of the attendee, in which case a credit memo will be issued. If a student (or substitute) attends either the lecture or field no refunds are permitted as this would imply a certification for a payment --- you must meet the criteria set forth in 40CFR60 Appendix A Reference Method 9 in order to be certified. Compliance Assurance Associates, Inc. will provide a reasonable number (4 for 1 day field sessions, 8 for 2 day field sessions) of opportunities for you to be able to certify. Change orders requested by the client, written or verbal will be reflected in the final invoice. Change orders include, but are not limited to, stand-by time and all associated expenses, reschedule of a project within 10 business days from when the project was originally scheduled to begin, safety training not included in the original scope, and design changes. All expense incurred on a project will be invoiced as completed. In the event of a cancellation or significant delay, all time and material costs incurred will be due and payable. In the event that either party shall be prevented from completing the performance of its obligations hereunder by an act of God or other occurrence beyond the reasonable control of the parties hereto, then it shall be excused from further performance and undertakings hereunder for such period of time is reasonably necessary after such occurrence to remedy the effects thereof. Compliance Assurance Associates, Inc will provide safety training to comply with all applicable Federal, State and local regulations. In the event of unsafe work conditions CAA reserves the right to decline to work until the condition(s) have been corrected and to invoice for associated delays. Client will inform CAA of site specific safety requirements and warrants that the work site will comply with applicable safety standards. In case any one or more of the provisions of this agreement shall for any reason be held invalid, illegal, or unenforceable in any respect, such shall not affect any other provision thereof and this agreement shall be construed as if such provision had never been contained herein. The lack of action to enforce a specific condition does not invalidate that condition. No claim or right arising out of a breach of any or all of the terms and conditions appearing on the front or reverse sides of this agreement can be discharged in part or whole by a waiver, renunciation, or failure to enforce any such right or claim unless Compliance Assurance Associates, Inc expressly consents in a separate writing, executed by a duly appointed officer of the corporation. Compliance Assurance Associates, Inc. For itself and its employees, agrees that any proprietary information or processes will not be revealed to third parties. Any ideas, concepts or discoveries for which patents might be obtained which are made under this contract, in the course of the execution of this agreement, shall become the property of CAA,Inc. The validity or construction of the agreement, as well as the rights and duties of the parties herein under, shall be governed by the laws of the State of Alabama. The obligations and undertakings of each of the parties of this agreement shall be performable at the principal place of business of Compliance Assurance Associates, Inc., State of Alabama and Madison, County (Huntsville, AL). Compliance Assurance Associates, Inc and all associates covenant and agree to assign clients with those whom the business relationship is developed. Client's therefore agree and covenant that employment of associates, employees, or contractors on a permanent or contractual will be pursued through Compliance Assurance Associates, Inc and the originating associate for a period of five (5) years after the last active project. If direct employment either on a permanent or contractual basis, of an associate, employee, or contractor is desired client agrees to a pay Compliance Assurance Associates, Inc. finder's fee equivalent to 20% of the employee's new salary and benefits or contract (if on a contractual basis) , if said person is hired, employed, or contracted directly within the defined period. All warranties of material, equipment, and workmanship are provided by the manufacturer or supplier of services. Compliance Assurance Associates, Inc does not express or imply any additional warranty or guarantee. See specific written warranty for each supplier to determine specific coverage. Client agrees to indemnify, defend and hold harmless Compliance Assurance Associates, Inc and all officers, directors and employees from any and all claims, causes of action, losses, damages, suits and liability of any kind, including all expenses of litigation, court costs, attorney's fees (a) for damage to any property, or injuries to, or sickness, or death of any person related to all items, real or intangible, provided by suppliers, or subcontractors of Compliance Assurance Associates, Inc. Liability under this contract shall not exceed the contract amount. Engineering, consulting, testing, and training services are generally not taxable. Equipment is taxable. Client will be responsible for all taxes due if not invoiced as a separate line item. All fees required to implement this project, of any kind, are payable by the client. Sales/use or added-value taxes and permits are not typically necessary for training services. Additional taxes and fees, levied by the state or local jurisdiction are the responsibility of the facility, including any permit fees or requirements to obtain. In the event a disputed matter cannot be resolved within sixty (60) days of a written request for arbitration under this clause the matter will be referred to the American Arbitration Association for binding arbitration and judgment upon the award rendered by the arbitrator(s) may be entered in any court having jurisdiction thereof. Client agrees to provide an environment in which CAA can comply with all applicable codes, regulations and laws, and will be responsible for any the expenses incurred by CAA to comply, unless otherwise stated in the proposal. CAA reserves the right to assign any and all obligations under the terms of this contract, including but not limited to all liabilities, warranties, and performance requirements. 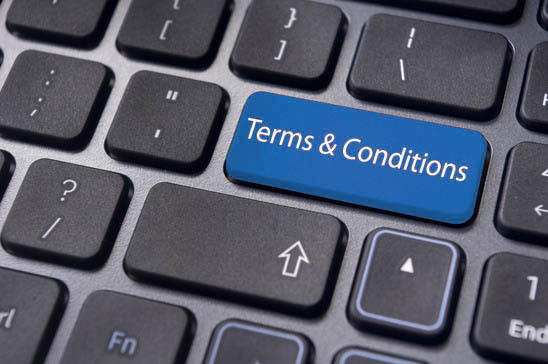 See Principal's Terms and Conditions for additional terms that override any applicable terms herein offered. If any Action at law or in equity is brought to enforce or interpret the provisions of this agreement, the prevailing party shall be entitled to reasonable attorney's fees in addition to any relief to which it may be entitled. Compliance Assurance Associates, Inc. and buyer waive their rights and their respective insurance carriers subrogation rights against each other with respect to property damage. In the event that the buyer is not the owner of the facilities where the equipment is being erected, the buyer agrees to include a provision in its contract with the owner of such facilities requiring Compliance Assurance Associates, Inc. with a written waiver of its rights of recovery and its insurance carrier's right of subrogation against Compliance Assurance Associates, Inc. as specified in this article. All drawings, patterns, specifications, and information in this proposal is to be considered confidential and proprietary. The buyer is not to disclose any such information, except what is necessary to obtain service of the installation.